Step 1 Place the yogurt, milk, condensed milk, honey, peaches and preserves in a blender. Blend until smooth. Step 2 Divide the mixture evenly among the pop molds, pouring so that you leave about one-half inch of headroom at the top. Once they are filled, tap the molds gently against the counter, allowing the liquid to settle evenly into the molds and dislodging any air bubbles that may have formed. Cover the molds and fit with popsicle sticks, if necessary. Freeze the molds until completely firm, at least 5 hours. For easy unmolding, run the frozen pops under warm water for 10 to 15 seconds before removing them. In Recipes-list.com we have selected the most viewed recipes from category - Desserts . Enjoy the best recipes specially selected for you! 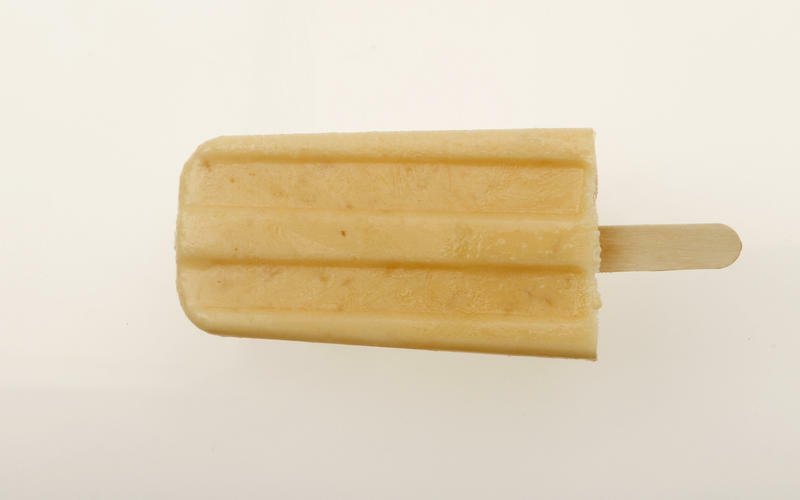 Peach and orange blossom honey pops is the right choice that will satisfy all your claims.